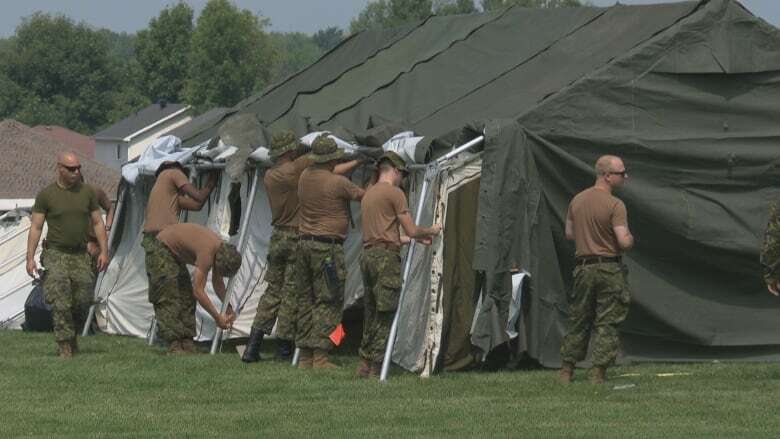 Temporary shelters set up in Cornwall, Ont., to house asylum seekers will remain on standby until Oct. 1, but the province's immigration minister said Tuesday that, for now, it doesn't look like they'll be needed. But Laura Albanese said if there's one lesson to be learned from how the federal and provincial governments have dealt with thousands of people crossing over the border this summer, it's that Canada has to be ready at any moment to handle them. "It may just be an anomaly, but at the same time, given the times we're living in, given what we see going on in Europe, the Mediterranean, any country, any province has to be attentive and on the alert," Albanese said Tuesday. Part of being ready is knowing who is coming and who is already here and Albanese said the federal government needs to reveal more of that data. 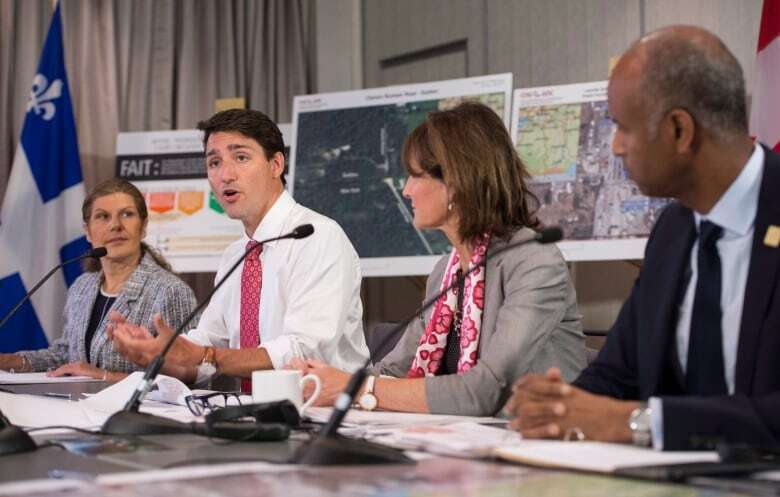 Information sharing is part of the mandate of the federal-provincial task force set up in mid-August to manage the arrival of hundreds of people a day, mostly through an unofficial border crossing in Quebec. The group is scheduled to meet again on Friday in Ottawa. Albanese said she's expecting an update on current levels, but also hopes to learn a bit more about the population already here. While the vast majority of the nearly 7,000 people who've arrived just since July are believed to be Haitian, not much else is known. Although Quebec has said that a third of new arrivals are under 18, the Canadian Press has been asking the federal Immigration Department for a population profile of the crossers since last week and has yet to receive a response. The Quebec government is ramping up plans for schools for the children and exploring the possibility of temporary work permits for adults. Albanese said Ontario is, so far, not rolling out similar programs, given the relatively small number of arrivals from the current group expected to stay in Ontario — less than 10 per cent, she said. Those who will stay are part of the population that's been housed in Cornwall, Ont., to await the first stages of their applications for asylum. Both a government facility and tents were set up for them, with officials estimating up to 500 people would seek temporary shelter there. 199 asylum seekers at facility in Cornwall, Ont. Albanese said the latest figures she had were that 199 were at the NAV centre and those numbers would keep going down. Still, the temporary facilities will remain at the ready throughout September, she said. The RCMP said Tuesday they are not ready to release updated figures for August but the trend — at least in the number of people they are apprehending at the border — does seem to be going down. But among the details Albanese is looking for: what's happened to those who came before this group? When earlier this year groups of asylum seekers began arriving in Manitoba, the assumption was most would go on to Ontario. Whether that happened remains unclear, she said. That no one has been apprehended crossing illegally into Ontario this year is a matter of geography, Albanese said. It also doesn't mean Ontario isn't facing an increasing number of claimants arriving by other means. Prior to the spike in arrivals in Quebec beginning in July, Ontario was on track to receive more asylum claimants than any other province. Between January and June, 9,450 claims were filed there, compared with 6,635 in Quebec. Funds allocated in the province's spring budget should help with providing the services newcomers require, but Ontario will be asking Ottawa for more financial assistance, Albanese said.